Philadelphia, PA – The ABIM Foundation today announced the selection of seven initiatives that will focus on reducing the use of tests and treatments that national medical specialty societies participating in Choosing Wisely have said are overused. The grant program, supported by the Robert Wood Johnson Foundation, will bring together health care organizations from across the country that have built strong multistakeholder alliances to focus on implementation of at least three Choosing Wisely recommendations, including reducing the use of antibiotics for viral infections by at least 20 percent over nearly three years at participating health systems, hospitals and medical groups in their regions. 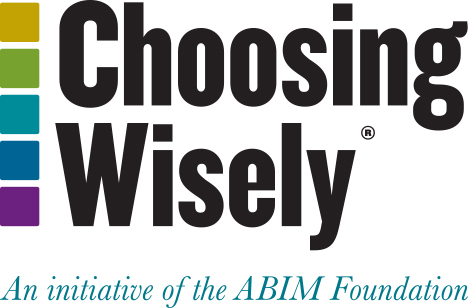 First announced in December 2011, Choosing Wisely® is part of a multi-year effort led by the ABIM Foundation to support and engage clinicians in being better stewards of finite health care resources. Participating specialty societies are working with the ABIM Foundation and Consumer Reports to share the lists widely with their members and convene discussions about the physician’s role in helping patients make wise choices. Learn more by subscribing to the monthly Updates from the Field newsletter and by visiting ChoosingWisely.org.